Punchy, fun, and modern. This is how a young comedian imagined his new Los Angeles bachelor pad. Coming to us before he had made the big move from the Land Down Under (or even finished his real estate hunt), he knew through some light Instagram stalking that we would be the perfects partners in crime. To translate his saucy design vision into a bona fide dream house, we allowed our color-obsession free reign. 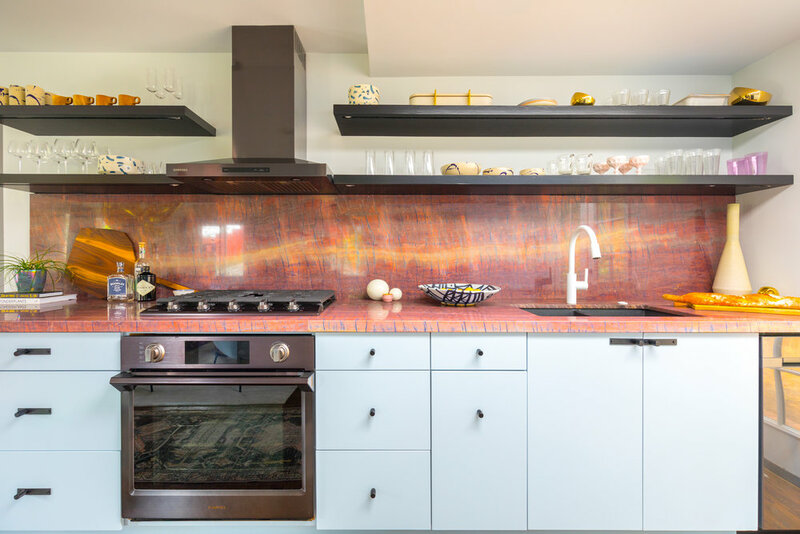 From the blue veining of the kitchen counters to the magenta fireplace, we wanted the bright pops of color throughout to feel unexpected and dynamic. 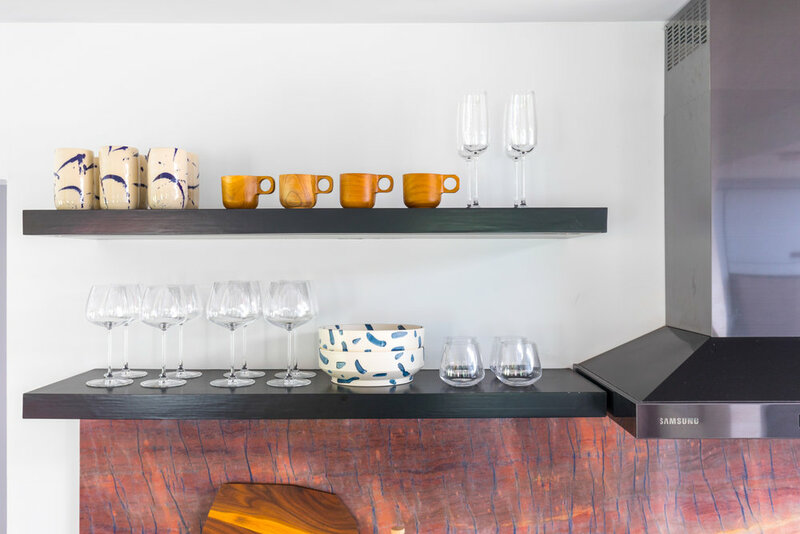 A new open-concept kitchen and organically-shaped, versatile furniture also worked to make the best use of the small cabin's limited space. When the dust settled, there was no denying that fearless design choices make for uncommon homes.